The Institute of Asset Management Certificate (IAM Cert) is concerned with knowledge and comprehension of Asset Management principles, practices and the business benefits these can deliver. It is an ideal first step towards the IAM Diploma. Our Certificate courses give a thorough grounding in the principles of asset management, how these apply in practice and the business benefits they deliver. The contents are based on specifications published by the IAM and, therefore, fully aligned with the 2014 IAM Competences Framework, the requirements of ISO 55001 and the GFMAM Asset Management Landscape. Our training is designed by Asset Management experts and consultants and taught by experienced Asset Management practitioners. It prepares candidates for the specific demands of the IAM Principles of Asset Management exam. Our Full course aims to consolidate the knowledge and understanding of people who have had some experience of asset management. This is a 5 day taught course. Our Focused course is for people with a good working knowledge of asset management who plan to take the IAM Principles of Asset Management exam but want to make sure they are ready for it. It is a 3 day course, geared to the needs of each course group. Which IAM Certificate course is right for me? 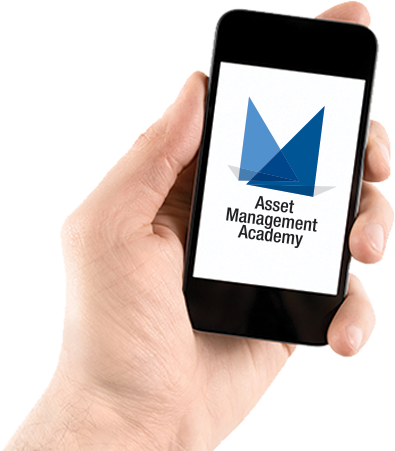 Why choose the Asset Management Academy? The AMA is unique in offering an IAM Principles of Asset Management examination following the final day of every course it runs. We know how busy you are and we want you to be able to sit the course and be immediately ready and able to sit an examination.